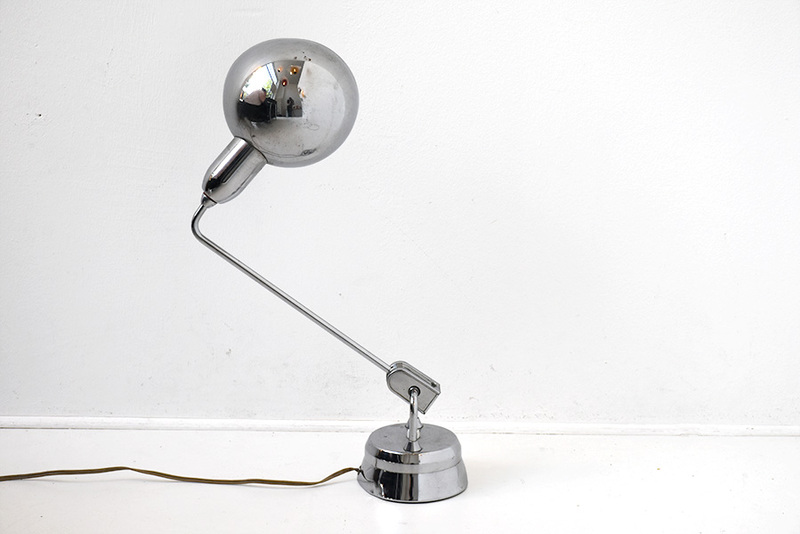 View cart “Double arms lamp 6580 | Christian Dell | Kaiser Idell” has been added to your cart. 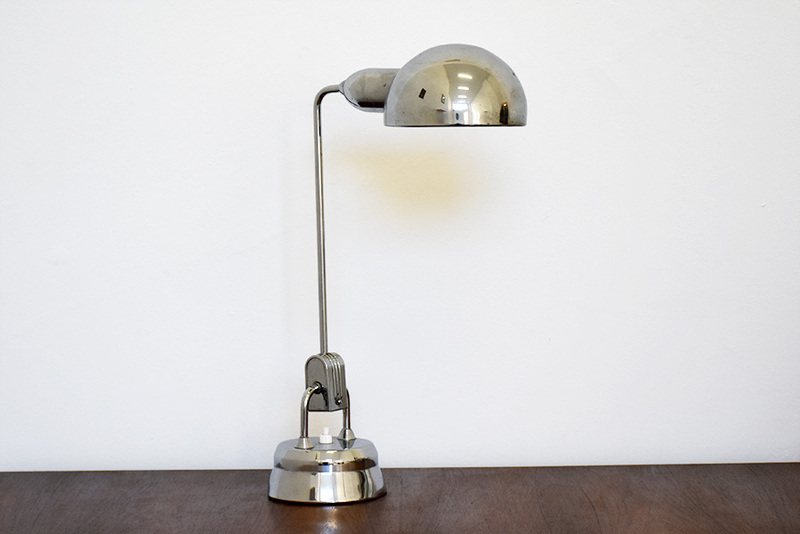 Table or desk light made of chromed steel. 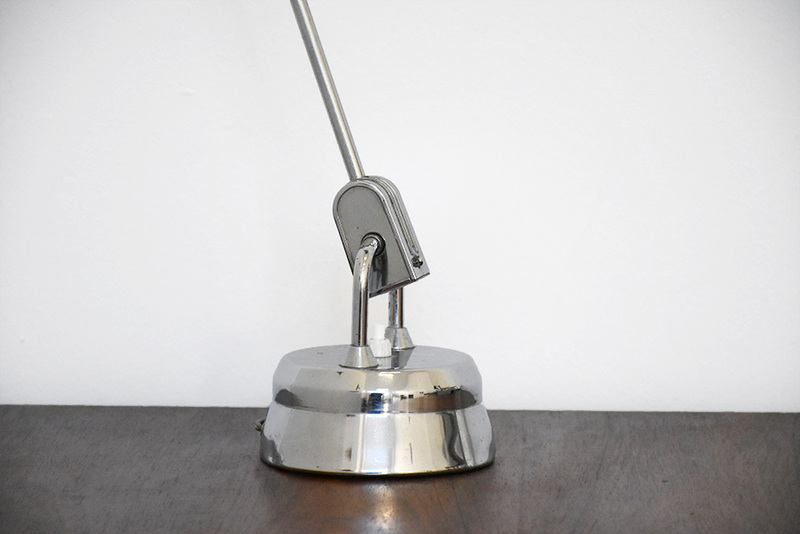 The arm can be tilted up and down and the reflector rotates 360°. Switch on the base. 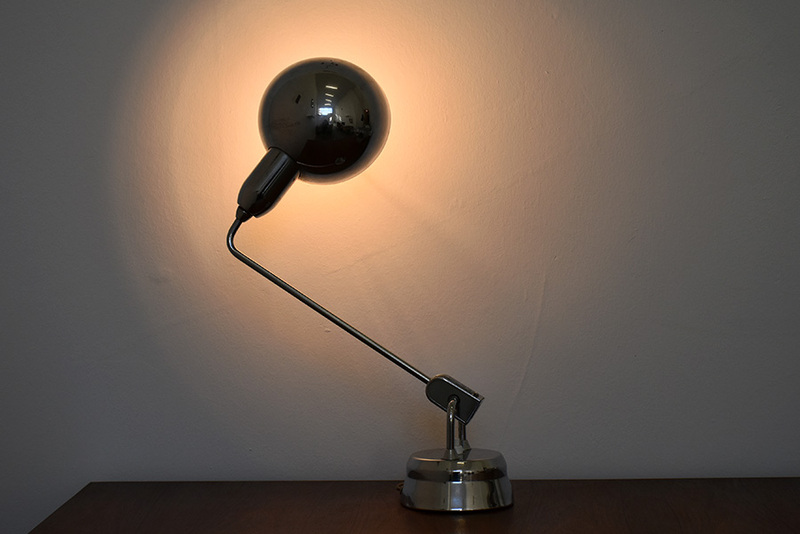 Early exemplar in good vintage condition with patina and wear. 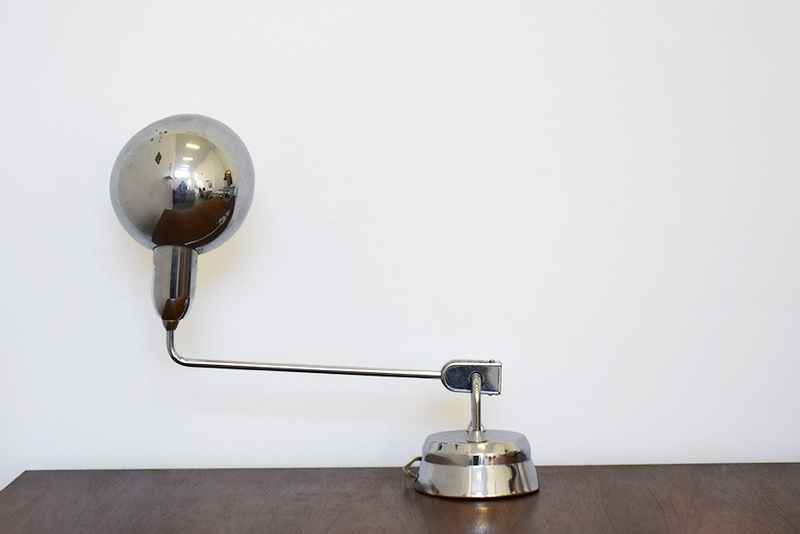 The desk or table lamp was designed in 1935 by Charlotte Perriand for Jumo France. 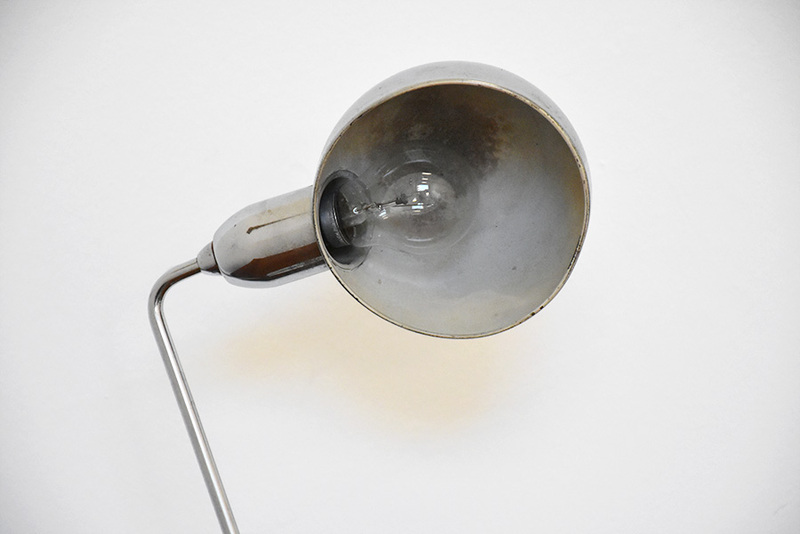 The small Bauhaus or Art Déco light can be tilted up and down and the reflector rotates 360°. 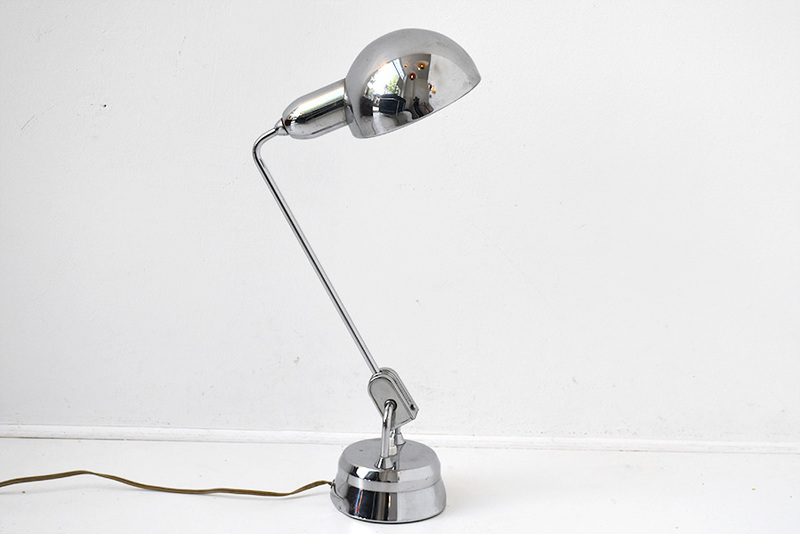 Early exemplar in a good vintage condition with visible patina and wear. 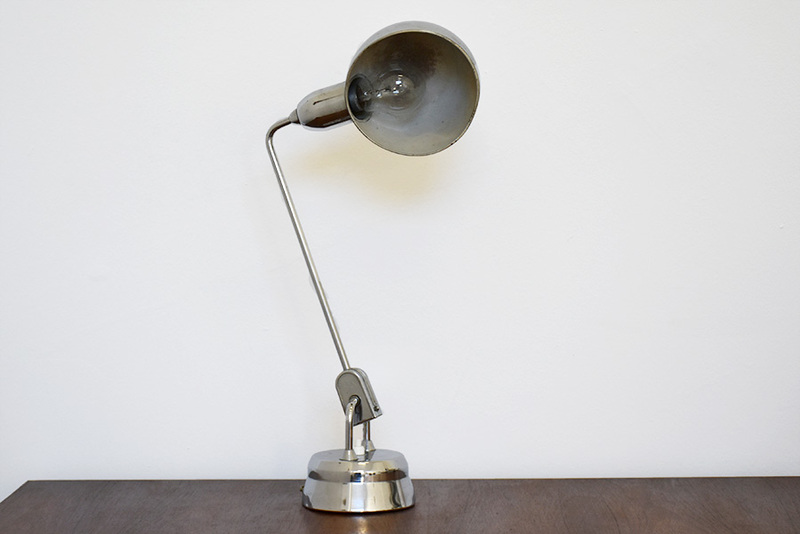 A rare find for industrial design lovers! Charlotte Perriand (1903 – 1999) is one of the most influent french modernist designer. 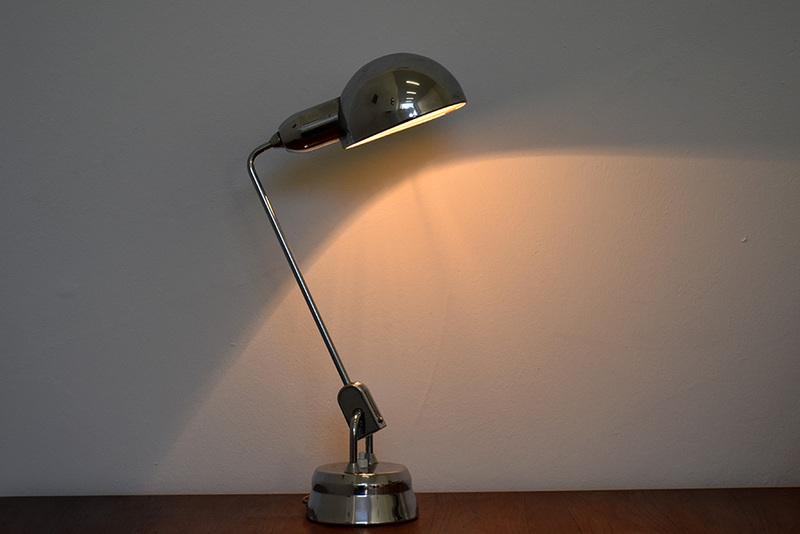 Together with Le Corbusier, Jean Prouvé or Pierre Jeanneret, she is part of the 50’s designer whose works are highly collectible. *From April 15 to May 1st the shop is open only upon appointment.